Three women leading Minnesota theaters talk about their roles and about the value of live theater. 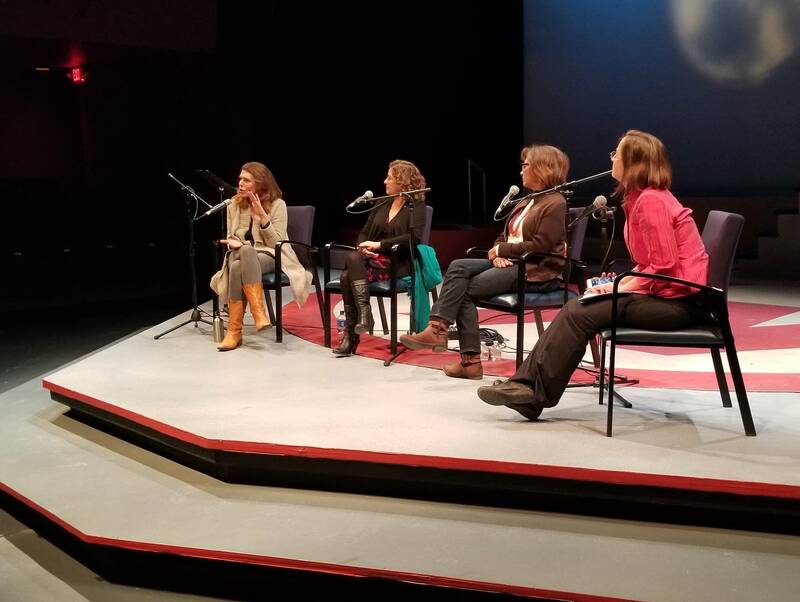 Minnesota Public Radio arts reporter Marianne Combs moderated an event on stage at the History Theatre in St. Paul, which renamed itself "HERstory Theatre" for this season. Marcela Lorca, the new artistic director of Ten Thousand Things. Sarah Rasmussen, artistic director of the Jungle Theater in Minneapolis. Faye Price, co-artistic producing director and co-center director of Pillsbury House and Theatre in Minneapolis. The 2019 season at History Theatre, renamed "HERstory Theatre," features three plays about women, which were written by female playwrights: "Stewardess!" "Sisters of Peace" and the musical, "Dirty Business." This panel discussion was held on stage at the History Theatre in downtown St. Paul on Wednesday, Feb. 27.